Red and black scaffolding services in London. We are UK’s front running scaffolding company that takes pride in offering all types of scaffolding throughout London. 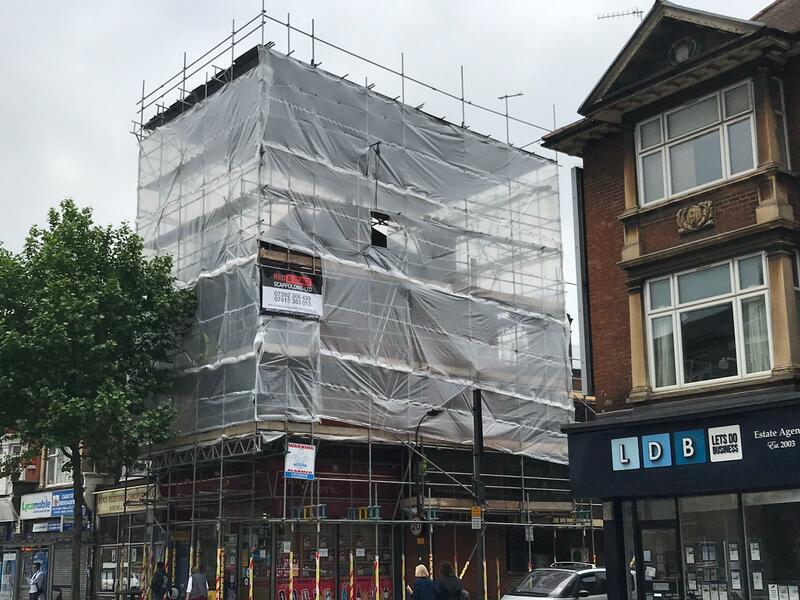 We have been in the business since 2007 and embark on catering scaffolding needs of commercial, industrial or residential in the best way possible. We put meticulous attention while carrying out each task with care and perfection. There is nothing more important to us than ensuring the safety of you and your loved ones. We are renowned for providing a first class scaffolding service at fraction of cost. Our proven track record of meeting client’s desires sets us apart. We have the skill set of the highest caliber and are deft in providing our clients with what they demand and require. Flawless Temporary Roof Systems in London. Trusted by Thousands of Satisfied Clients Around London. We have the skill set of the highest caliber and are deft in providing our clients with what they demand and require. Having developed exceptional customer reliance, we are the company that clients prefer when it comes to scaffolding services. Our team of exceptionally qualified and trained staff sets us apart. Having hired a few of the most devoted skilled individuals. We are one of the best suppliers and installers of standard scaffolding structures that are customised to the specific needs. Red and black scaffolding is all set to provide you the scaffolding solutions that ensure security and resistance. In every job attributed to our fully trained and qualified staff as well as our state of the art equipment and result driven contemporary techniques. All our staff is CITB/CISRS Registered and is directly employed. Our employees complement our professional approach by wearing corporate clothing to all scaffolding activities. Having all our expertise coupled, we strive to provide an unrivalled level of service that our competitors try to achieve. Thank you we will get back to you. Red and black scaffolding will assure you the best cost effective solution.